David Morrell is most famous as the creator of Rambo, but he’s been writing fine crime novels for decades. His latest is titled Murder is a Fine Art. You can learn more about David and his work here. 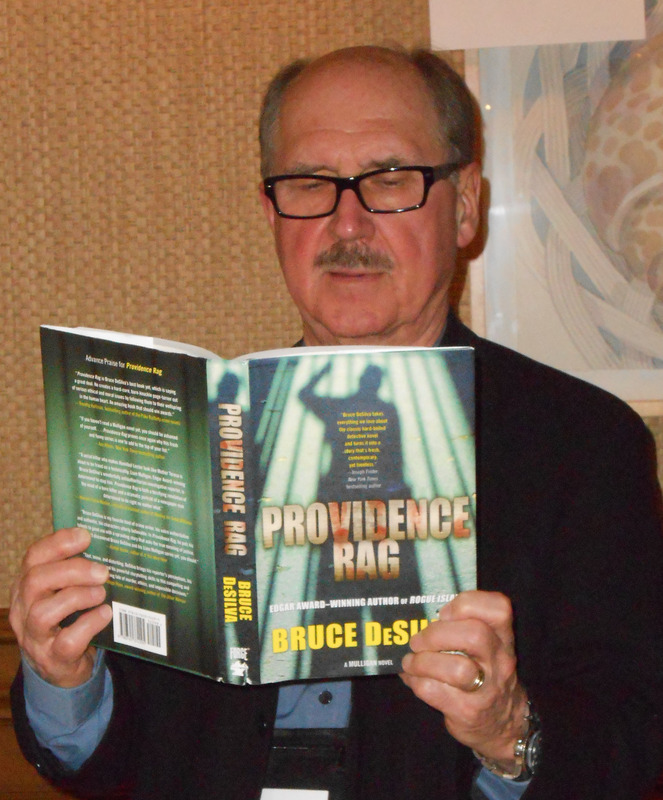 I took this picture of David reading Providence Rag, the latest book in my series of hardboiled Mulligan crime novels, when I ran into him at the Left Coast Crime conference in Monterey, CA, in March. My new novel is available in hardcover, e-book, and audio editions here. This entry was posted in Uncategorized and tagged Bruce DeSilva, crime novels, David Morrell, hardboiled, Mulligan crime novels. Left Coast Crime, murder is a fine art, Providence Rag, Rambo. Bookmark the permalink.